This sleek and contemporary Eurocube is shown dressed with the Sapphire and Bordeaux crystals. 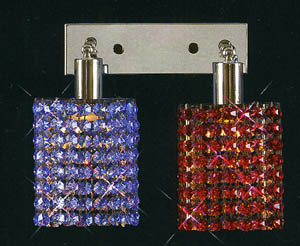 Also available dressed in Swarovski strass or Swarovski spectra crystal. See related color chart for other crystal options.